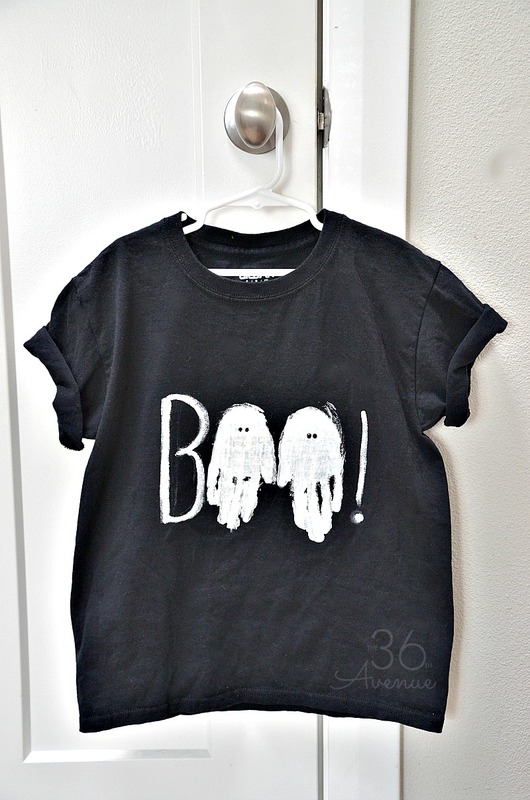 Halloween costumes – Use your child’s handprint to make this adorable Halloween Ghost T-shirt. 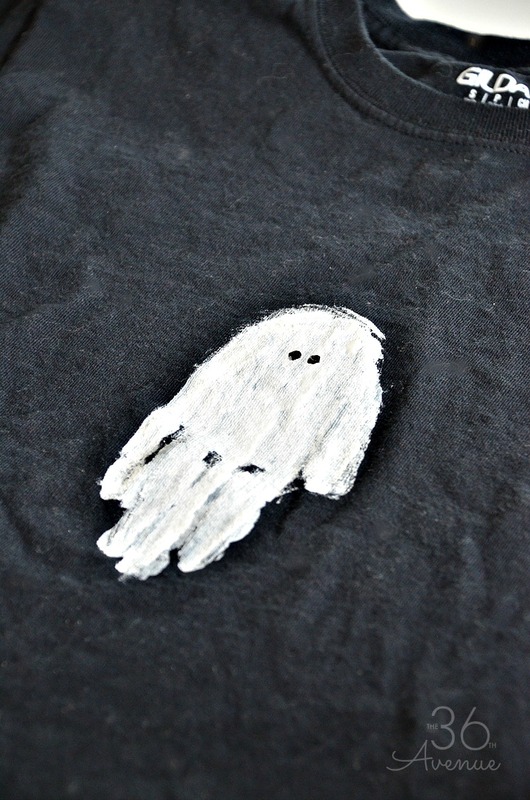 Today I have a fun Kid Halloween Craft Idea that your child is going to love. 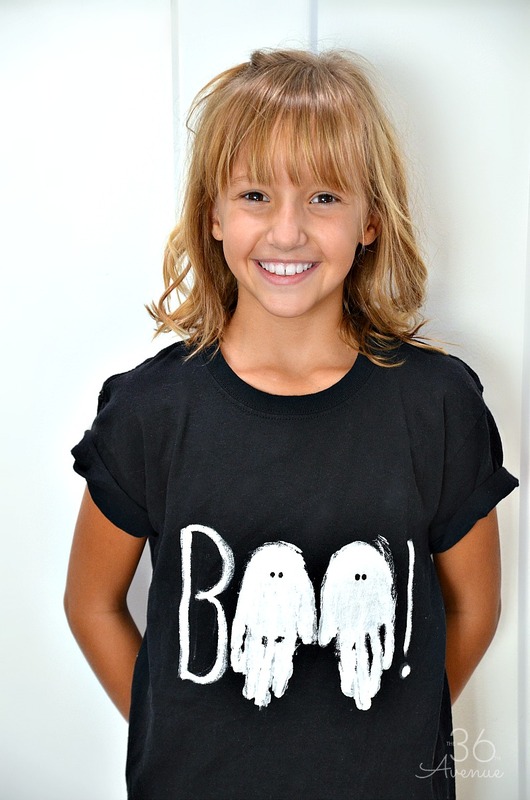 Last week my little girl and I spent some time together making this Handprint Halloween Ghost Tee for school. October is going to be here before we know it and this is a festive t-shirt to celebrate the most spooktacular month of the year! I love how easy this project was and the fact that her little handprint makes it more personal and precious. Let’s make one together! Place the t-shirt on a flat surface and put a piece of card-stock inside. This will prevent the paint from bleeding through the fabric. 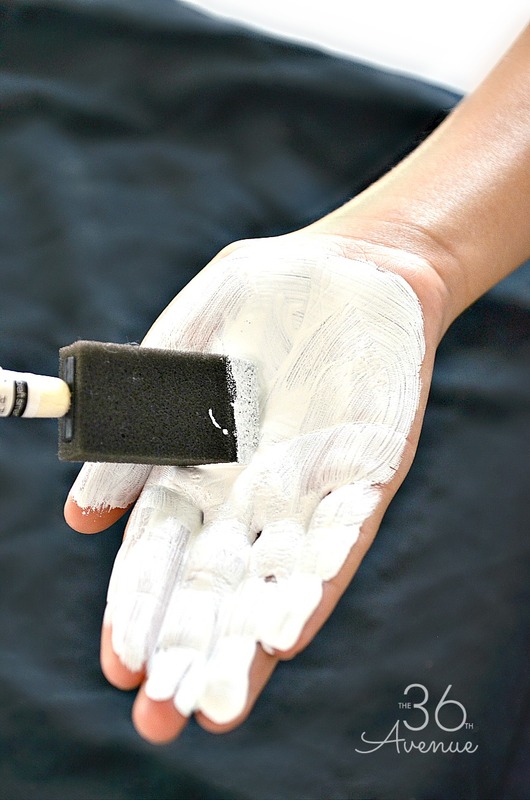 Use the white fabric paint to paint the inside of your child’s hand. Make sure to use a generous amount of paint. Picture an imaginary line dividing the front of the tee in half and place the hand right to one side of it. Make sure the fingers are facing down. 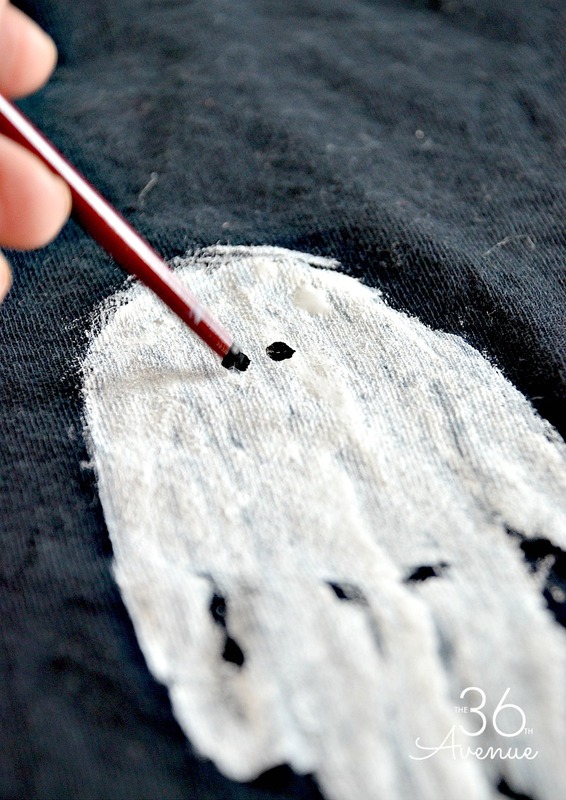 Dip the back of a brush in black paint and make two dots for eyes. 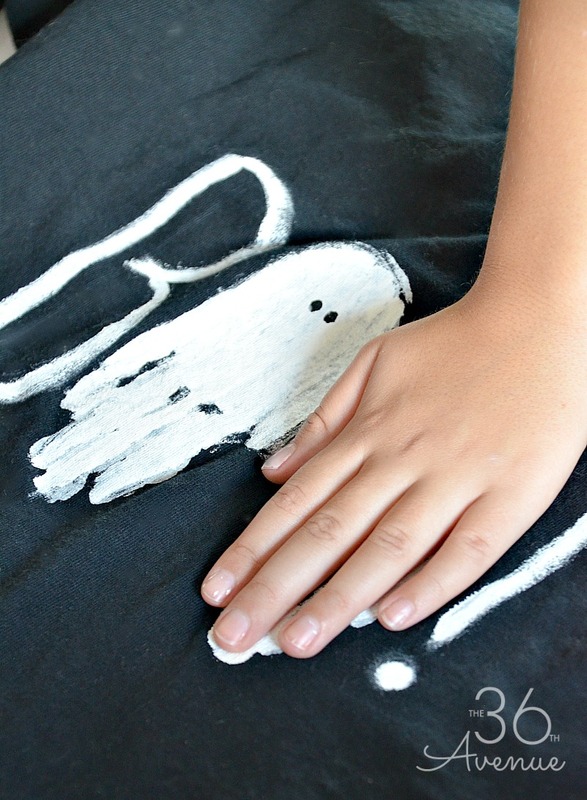 Repeat the step to make another handprint ghost next to the first one and use the brush to write the B and the exclamation mark. Hang the tee and let it dry! Isn’t it cute? My little girl loves it and I do too! So have you decide what Halloween Costumes you are going to choose this year? I have some other DIY Kid Craft Ideas that you can make! Click HERE to see how to make these Monster Treats in just one minute! Click here to get the glitter slime recipe and Halloween Monsters tutorial. These are my kids favorite! Kids love making them, giving them, and doing their homework with them during the entire month of October. They are also a great alternative to candy for classmates and friends! So cute!